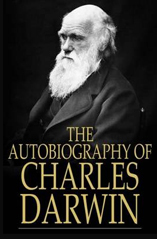 A great scientist and well-renown naturalists, Charles Darwin, authored his autobiography nearly ten years before his death in 1887. He contributed a vast amount to the theory of evolution, in which many scientists still believe in to this day. Since he wrote the book ten years prior to his death and it did not get published until 5 years prior to his death, his son, Francis Darwin had edited some controversial content from the book that was later restored by Darwin’s granddaughter almost half a decade later with the re-release of the book. Charles Darwin, FRS, was a British naturalist who changed the way many humans see themselves after he traveled the world several times over to gather data on evolution and a process called “natural selection”. To many he is known as the father of the theory of evolution, a theory most have come to believe as fact.